In this practice requests for appointments may be screened on busy days. All Monday, Tuesday, Wednesday and Friday morning requests are triaged by one of the doctors, requests for this service are between 8.30am-11am) This means that requests for appointments are not sorted out by reception staff but are screened by an experienced doctor. The doctor can make sure that if needed an appointment can always be made. If an appointment is not needed then the doctor can advise over the phone, prescribe etc. We have found this is a very effective way of sorting out all sorts of problems safely and efficiently. 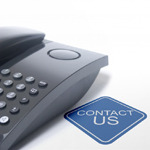 We are happy to phone you at home or at work or on a mobile phone. We are aware of privacy and confidentiality issues and will take these into account. If you are going to be unavailable at some time then please discuss this with the receptionist. On some busy mornings there may be 50 plus calls for the doctor to make and this may take several hours – please be patient. GPs will only try and call you twice, so please make sure you answer when called. Please note the call may be from a with-held number.